This elegant and gracefully designed pilot case is constructed of tough nylon fibre. The result is light weight flexibility, paired with a high load-carrying capacity. It has been developed together with professionals and fits their needs accordingly. Thanks to its trolley handle (lockable in three positions) and the high-quality castors allow it to be carried easily over short and long distances. The front bag is removable and with a lockable clasp. 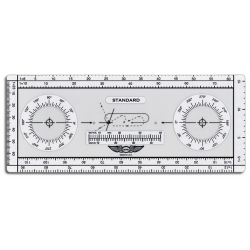 This has the advantage that the most important documents (log book, flight plan, charts, approach sheets, etc.) can be carried separately without having to carry the whole case.. Inside are pen holders, a key ring clipand a mobile phone case. Further features of the pilot case include two further external pockets for various usage and pen holders. Above on the left external pocket is the name plate, so that the pilot case can be returned if lost. The main case can be secured with two combination locks. Inside the top folding cover of the case you have various compartments for business cards, pens and a further small pocket with zipper for sun glasses. Inside is a padded laptop pocket with a Velcro system which you can take out and combine with the removable front bag. As a result, greater flexibility and practicality is achieved with the main case. Black bonded leather pilot case on wheels. Push button telescopic 3 stage handle. 19 Inch folding laptop compartment on one internal wall. Document slip compartment on other internal wall. External pockets on each end with velcro flap closures. Underside of main compartments lid one zipped pocket and a triple pen holder. Twin gun metal combination locks on main pocket. 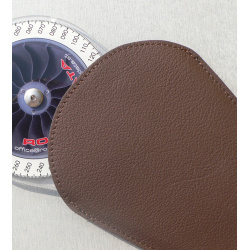 This fantastic pilot case is excellent value for money and is the perfect product for carrying around your items. Made from a luxurious soft synthetic leather. Large main compartment with internal filing separator. Plastic edge protection for extra strength and durability. Large size pilot case with lockable top opening. Twin side pockets. Lockable front pocket. calculating flight times, ranges and radius of action. It shows European aerodromes and contains important topographical information. Colorful and accurate, these maps clearly depict international boundaries, major cities and towns, rivers, lakes, mountain ranges. Also listed are major airports and aerodromes. 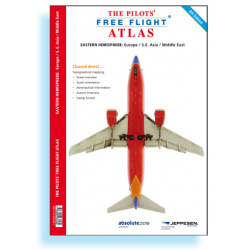 This map is great for pilots and aviation enthusiasts alike. This extremely detailed map includes hundreds of airports both civil and military, IFR and VFR. 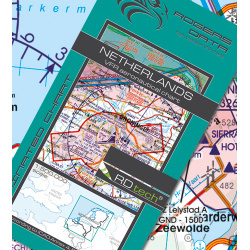 Ideal to get an overview for preliminary flight planning and makes a great wall poster! Urban areas, terrain contours, topographical features including bodies of water and more. 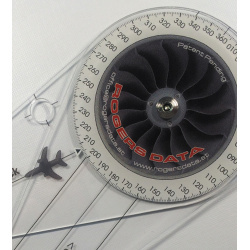 European Aerodromes Rogers Data 2.500k uses a scale of 1:2.500.000. Whether you're a captain of a jumbo jet, a passenger on their first flight, or anything in between, this map and shown information has something for you! There are 2 map sheets (north and south), in the middle you can stick those ones together. Perfect for School- and Flight preparation-rooms or for your home. with ICAO-codes, waypoints, VOR's, NDB's, etc. Base Cartography is a street atlas. Basic information such as: mountains, lakes, rivers, railway lines, national boundaries, cities, villages, highways, country roads, natural parks and sights are naturally included in the maps. In addition, aeronautical information has been incorporated: more than 4,500 ICAO codes with color coding for the runway length, VOR / DME's with frequencies, NDBs, waypoints with code and VOLMET frequencies. Pacific Overview, 2 Pages Australia Overview. 39 pages of aeronautical information updated with the latest JAA information. To the Airport Directory in the Captains Corner, we have added the coordinates (Lat / Long) for every airport. World Aircraft Registration, Volmet-Broadcasts, Weather Symbols, Metar, Climb Gradients, Conversion Tables, Crosswind Component, Holding, Aerodrome Operating Minima, De-icing Table, Aerodrome Signs + Signals and Abbreviations and….. 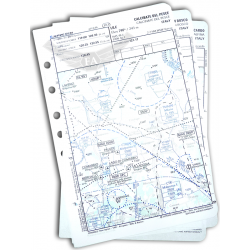 The Jeppesen VFR Manual gives you unmatched flexibility for your flying. 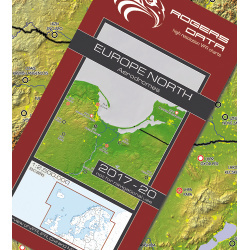 Besides colored Visual Approach, Landing and Area Charts the Jeppesen VFR Manual contains general and country related text sections including Regulations, Communications, Meteorology, Aerodrome Directory and more for the planning and execution of flights within Europe under Visual Flight Rules.The loose-leaf system allows easy monthly updating or use of individual charts in-flight on your kneeboard or fixed to your yoke. VFR Manual Country Coverage enable you to select or combine individual VFR countries to build your own, personal subscription. 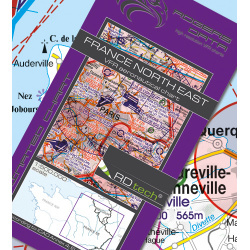 This VFR Manual trip kit includes coverage for the country of Slovenia. Also available with accessories or as a subscription. Coverage fits in one 1.5-inch binder (not included). 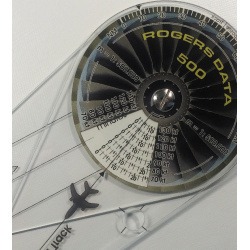 Designed for easier IFR flight planning and in-flight reference. Made of durable Lexan®. Includes current NACO chart scales! The Jeppesen VFR Manual is the most comprehensive European VFR flight guide covering over 2,200 airports in 29 European countries. Available in various geographical editions defined by customer experience, or tailored for your individual combination of countries, the Jeppesen services give you unmatched flexibility for your flying. 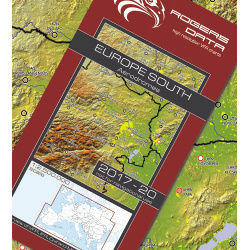 Besides colored Visual Approach, Landing and Area Charts the Jeppesen VFR Manual contains general and country related text sections including Regulations, Communications, Meteorology, Aerodrome Directory and more for the planning and execution of flights within Europe under Visual Flight Rules.The loose-leaf system allows easy monthly updating or use of individual charts in-flight on your kneeboard or fixed to your yoke. Delivery includes: Jeppesen VFR Manual Trip Kit - loose sheets, without binder, without tabs, without revision service. Important Note: Jeppesen VFR Manuals will be individually composed for you. After ordering there is no right to return or exchange those services!